The world’s first wine from our 2013 release, ‘Aromella’, is now available from Goose Watch Winery on Cayuga Lake. ‘Aromella’ is an aromatic, muscat white wine grape that ranks high for winter hardiness and productivity. Read more about the 2013 naming and release of ‘Aromella’ and ‘Arandell ‘ — the first grape released from the New York State Agricultural Experiment Station’s “no-spray” vineyard — in the Cornell Chronicle. Read Goose Watch’s press release. Projects funded for 2014 include research and outreach topics ranging from producing syrup from black walnut trees to organic fertilizer for hydrop0nic systems to urban soil remediation. View full list of funded projects and contact information for each. Immerse yourself in tropical plants. Learn from an intensive team building experience. Assist in preparing tropical edibles. 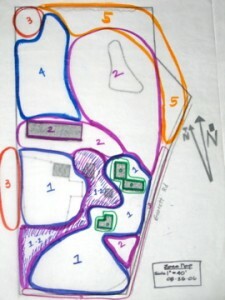 Help implement interpretation for a natural park. Collaborate with other students, project leaders and mentors. 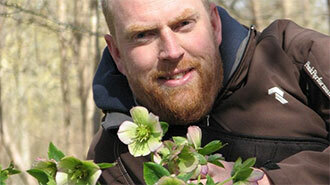 Dr. Henrik Sjöman, Post Doctorate Fellow (Bassuk Lab) will kick off the Horticulture Section seminar series September 8 speaking on the topic of Modern plant hunting for urban plants: new perspectives. Sjöman is also a lecturer and researcher at the Swedish University of Agricultural Sciences, Malmo, Sweden. Seminars are open to all. Refreshments served. Those wishing to take for 1 credit, enroll in HORT 4950 (undergrads) or HORT 6000 (grads). 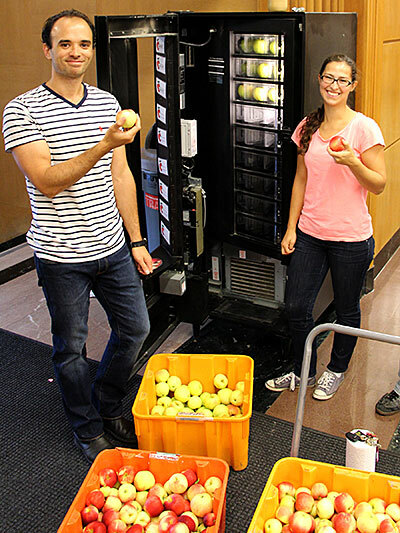 SoHo members Jeremie Blum and Annika Kreye, PhD candidates in the Graduate Field of Horticulture, load the apple machine in its new location in the entrance to Mann Library. The apple machine is back for the season, but has a new home: Just inside the entrance to Mann Library. Members of the Society of Horticulture for Graduate Students (SoHo) hope that the new high-traffic location will boost sales. 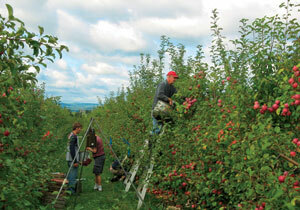 SoHo members pick the apples at Cornell Orchards as well as manage the machine. SoHo uses proceeds from sales to fund guest speakers, purchase academic supplies, and support education and outreach programs and other SoHo activities. Registration is now open for the online course Permaculture: Fundamentals of Ecological Design, offered October 6 to November 20, 2014 through the Horticulture section’s distance learning program. Space is limited to 25 participants. Registration closes when limit is reached. Registration fee is $600 and to be paid via credit card at registration. See registration link at course info website. The study of permaculture helps gardeners, landowners, and farmers combine knowledge of ecology combined with its application to supporting healthy soil, water conservation, and biodiversity. Permaculture systems meet human needs while restoring ecosystem health. 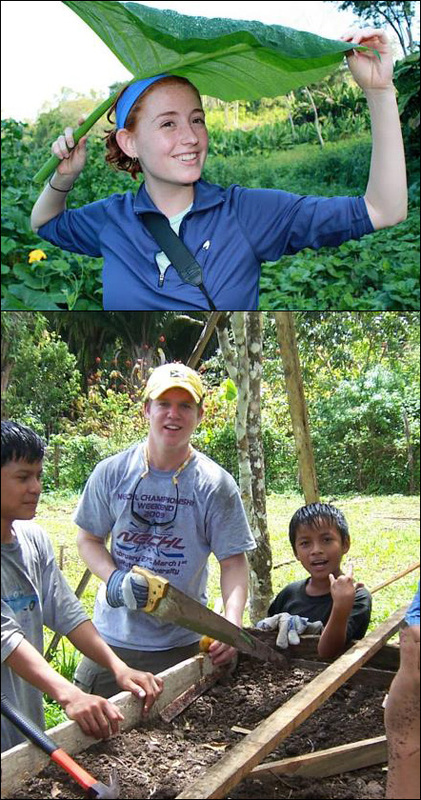 Common practices include no-till gardening, rainwater catchment, forest gardening, and agroforestry. View the full syllabus for the course and find registration information at the course info website. Completion of a single class gives students a certificate of completion from the Horticulture and continuing education units*. Completion of all three courses gives students the portfolio necessary to apply for an internationally recognized certification in Permaculture Design though the Finger Lakes Permaculture Institute. Registration opens about six weeks before adult education courses begins. *Most of our participants take our distance courses for life enrichment or professional development. Participants do not receive Cornell University credit for taking any of the courses. Rather, for each course you will receive a certificate of participation from our Office of Continuing Education and Continuing Education Units. People have tried to use the educational award through Americorps Vista Program and it does not work. No financial aid awards are given or discounts to CCE staff or volunteers. Space is limited to 25 participants. Registration closes when limit is reached. Registration fee is $600 and to be paid via credit card at registration. See registration link at course info website. 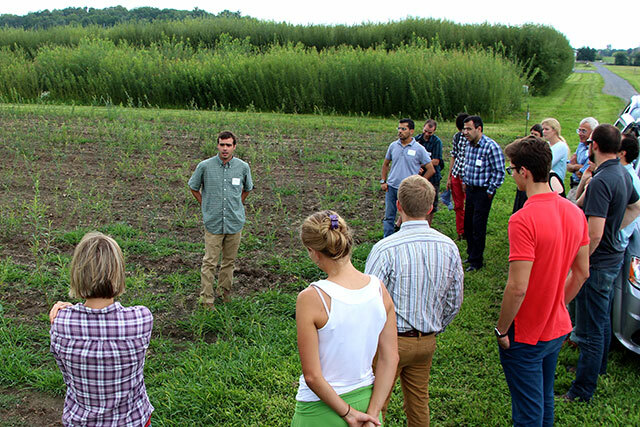 Faculty, graduate students and others in the Graduate Field of Horticulture gathered August 22 in Jordan Hall at the New York State Agricultural Experiment Station for the biannual Graduate Field Review. In the morning, new graduate students introduced themselves, and a dozen continuing graduate students gave presentations and answered question on their research progress. 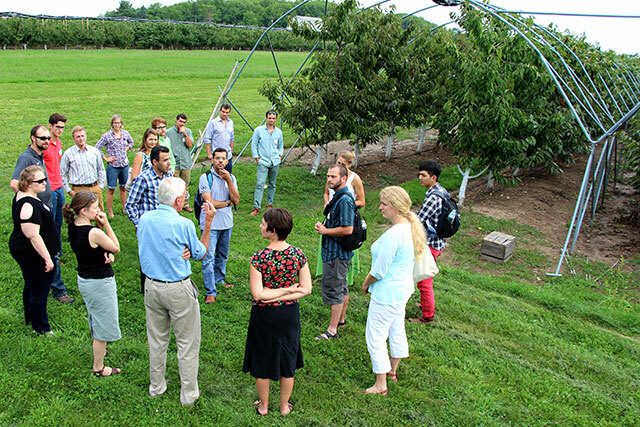 Horticulture graduate students learn about high tunnel cherry research. Eric Fabio, PhD candidate in Larry Smart’s lab, explains his willow biofuel research. 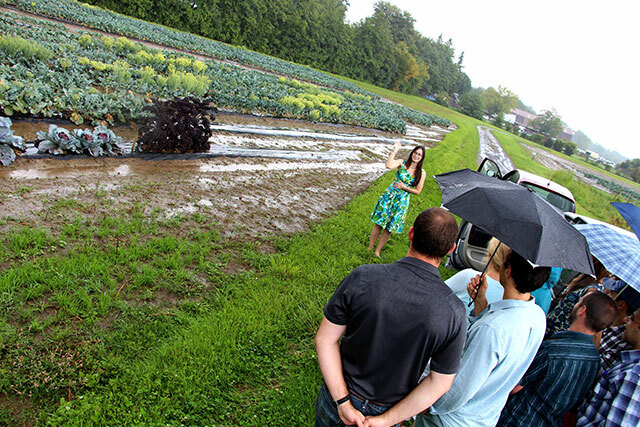 Ali Bennett, MS candidate in Phillip Griffiths’ lab, braves the rain to explain her work on using anthocyanins from cabbage and other crops for natural food pigments. In February, Chris Watkins became CCE’s new director, overseeing the extension’s 57 offices across the state. Watkins recently spoke with The Ithaca Journal about his role at CCE, the challenges of coordinating efforts for so many diverse regions, and how research-driven outreach has changed over the years. 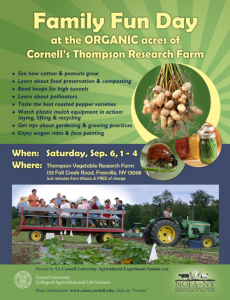 Family centered open house at the organic acres at the H.C. Thompson Vegetable Research Farm in Freeville, N.Y.
See how cotton and peanuts grow, learn about “good” bugs and “bad” bugs, taste the best roasted peppers, learn about food preservation, bend hoops for high tunnels, watch plastic mulch equipment in action (laying, lifting and recycling) and get tips from researchers about gardening, growing and composting practices. Go on a wagon ride, get your face painted and enjoy farm-fresh snacks. The Cornell Plantations Fall Lecture Series kicks off September 3. Lectures are open to the public, and are also available as a one-credit class: HORT 4800. Students attend lectures, write a reaction paper and meet on non-lecture Wednesdays to discuss the previous week’s lecture. • Sept. 3, 5:30 p.m., Call Auditorium – William and Jane Torrence Harder Lecture, “You’re the Bee’s Kinesis: Poetry and Coevolution,”Joanie Mackowski, poet and Cornell Professor of English. Garden Party at the Botanical Garden follows the lecture. 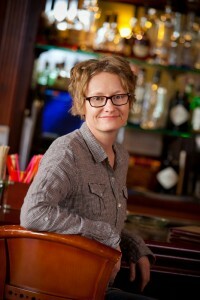 • Sept. 17, 7:30 p.m. Statler Auditorium – Audrey O’Connor Lecture, “The Drunken Botanist: The Plants That Create the World’s Great Drinks,” Amy Stewart, author. • Oct. 1, 7:30 p.m. Statler Auditorium -Class of 1945 Lecture, “Founding Gardeners,” Andrea Wulf, author. • Oct. 15, 7:30 p.m. Statler Auditorium – Elizabeth E. Rowley Lecture, “Personal Habitat: Creating a Haven for Wildlife (and Yourself),” Julie Zickefoose, author/illustrator (in collaboration with the Cornell Lab of Ornithology and the Cayuga Bird Club). • Oct. 29, 7:30 p.m. Statler Auditorium – Cornell Plantations 70th Anniversary Lecture, “A Living Sympathy with Everything That Is,” Scott Peters, Syracuse University. • Nov. 12, 7:30 p.m. Statler Auditorium – William Hamilton Lecture, “An Introduction to Classical Bonsai Art,” Bill Valavanis, Bonsai Master. More lecture series info at the Cornell Plantations website.